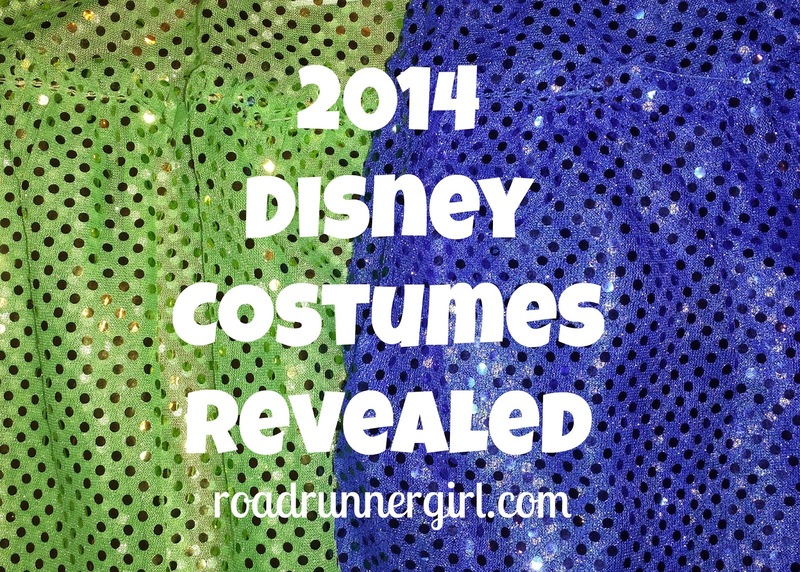 Road Runner Girl: runDisney Costumes Revealed! Hey ya'll! 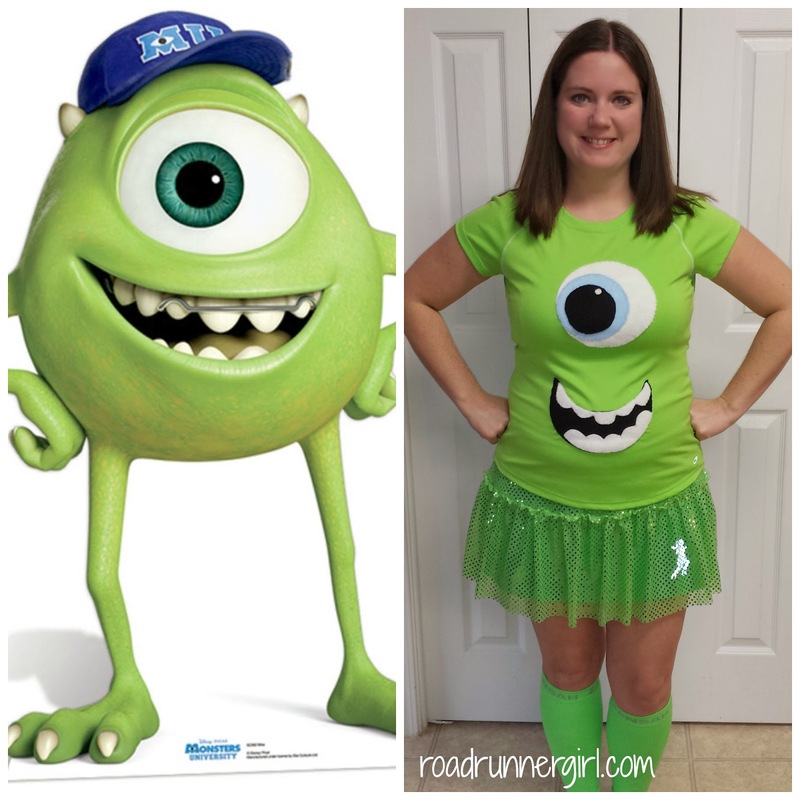 Today I am traveling to Walt Disney World to run the 10K and Half Marathon! I am sooo excited! runDisney races are my absolute favorite! Part of the fun is running in costume! I also take special care in picking out my costumes for each race! And fortunately I have an awesome mother-in-law who sews and always helps me make awesome costumes! In 2011 I ran as Minnie Mouse in the Disney Princess Half Marathon! In 2012 I ran the Disney Princess Half Marathon but it was a spur of the moment trip so no costume was planned. 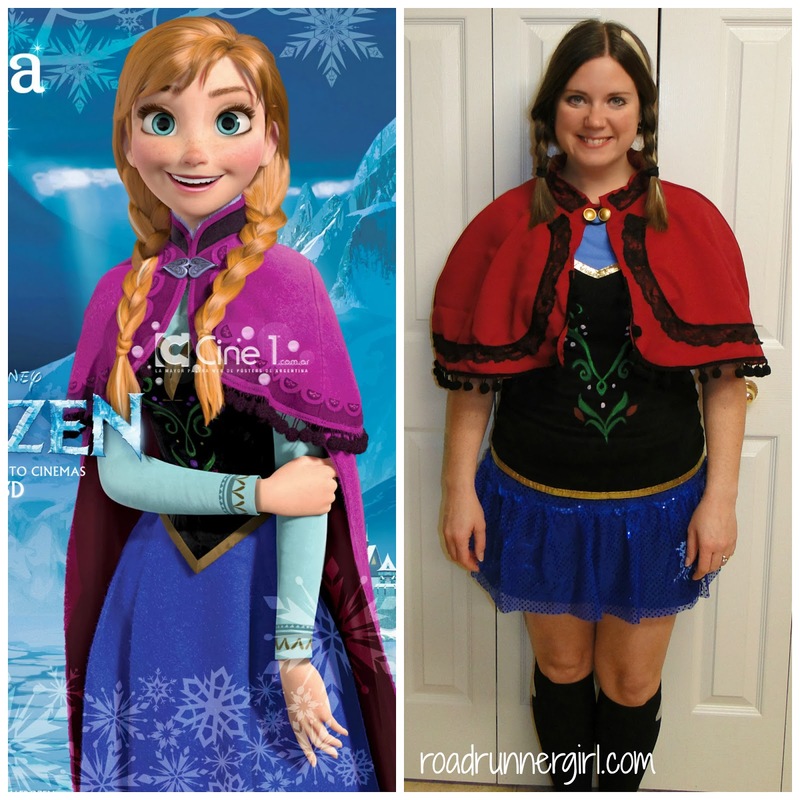 In 2013 I ran as Snow White in the Walt Disney World Marathon! The cape is the hardest part of this costume to make. My mother-in-law made it a little big so that I would not feel too confined while running. 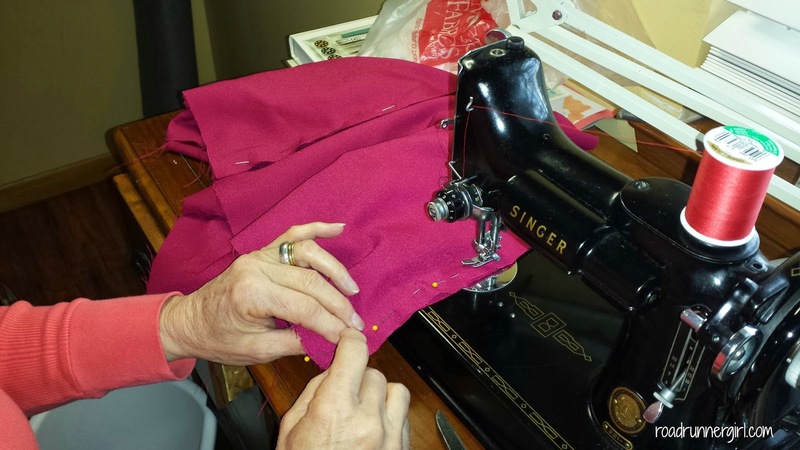 She used her sewing machine for most of it but some things were sewn on by hand. 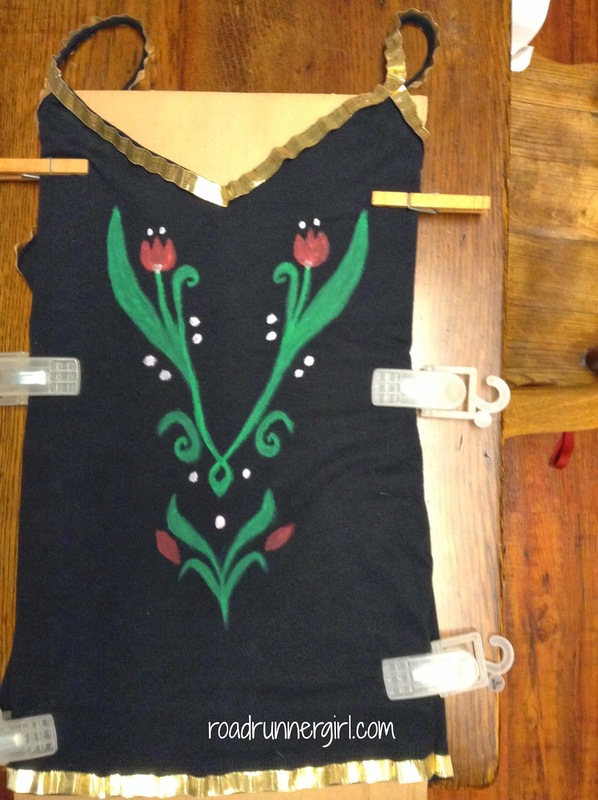 Then we added gold ribbon to the perimeter of a tank top. And my sister-in-law painted the flower on it. 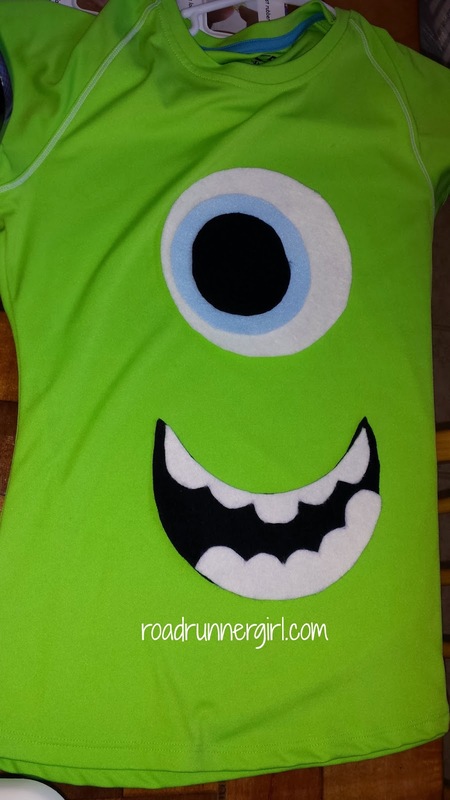 For this costume I googled Mike Wazowski expressions and drew them on felt. Then I cut the felt out and sewed it lightly onto the lime green shirt. Easy! I still haven't made up my mind which costume I am wearing for which race! And for those wondering...yes I have a running skirt under my sparkle skirt! I don't own any compression shorts since I always run in skirts lol! I'm very pleased with both costumes! Thank you so much to my mother-in-law and sister-in-law for making these costumes for me!!! QOTD: What costumes have you ever run in?